Global smartphone brand Vivo has released a new model of its Y series in the Philippines. The Vivo Y85 is now available nationwide. The new Y series smartphone has a 6.22-inch FullView™ Display and a 13-megapixel plus 2MP dual rear camera. This smartphone also has AI and face access capabilities. Vivo Y85 also has an 8MP front camera with Face Beauty, HDR, and Portrait features. It also has 4GB of RAM and 32GB of storage. This smartphone has an octa-core processor MTK 6762 with an Android 8.1-based Funtouch OS 4.0 operating system. 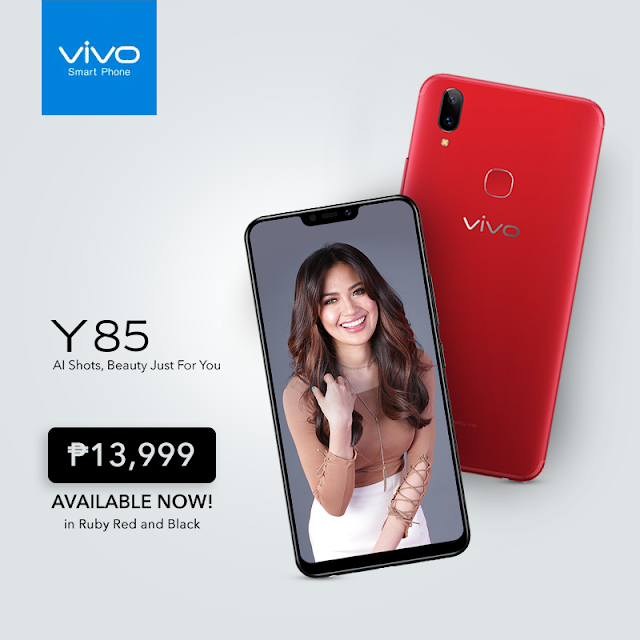 The Vivo Y85 will be retailed at Php13,999 in the entire Philippines in Ruby Red and Black.